Glad to hear you will be visiting our fine campus! I toured UWEC myself as a senior, and I’m a tour guide here these days—here are some tips for making the best of your time on campus! Have an open mind – Whether this is your first college visit or your 20th, it’s best to set foot on each campus with an open mind. Leave all expectations at the door and enjoy your visit! 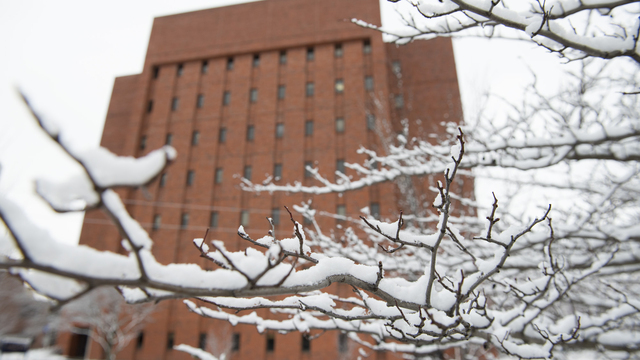 Be imaginative - As you walk around campus, try to picture yourself living and learning here! 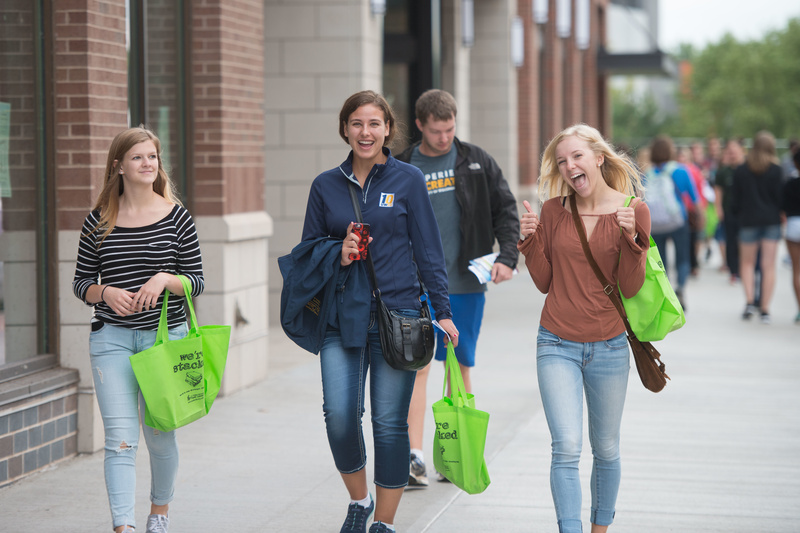 The tour is designed to follow in the footsteps of a current Blugold; don’t only listen to the activities that happen on campus, but imagine yourself doing them! Use the resources – So. Many. Handouts. Take them! They have lots of info about academic programs and high-impact practices like study abroad, which you can use when you’re comparing schools. - Where is your favorite place on campus? - What is the food like on campus? Is there a variety of options? - What do students do on the weekends? Do they stay on campus or go home? - What is residence life like? How are roommates assigned? - What opportunities are there for student professional development? - How can I get involved on campus? - Why did you choose this school? Reflect on your experience - After the tour, take some time to reflect about your time on campus. Make a list of pros and cons and determine if you have any follow-up questions. Once you have visited additional schools, these reflections will make it easier to compare UWEC to the other schools you visit. Hopefully this helps you make the most of your campus visit. Choosing a school can be overwhelming, but also very exciting! Enjoy your college search and know the admissions staff at UWEC is here to support you. Students take advantage of academic, athletic and extracurricular opportunities provided both on and off campus during the three-week Winterim session. 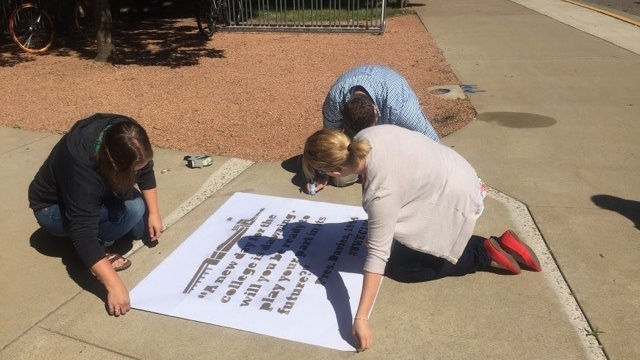 Dr. Paul Thomas and Greg Kocken have been working hard to bring a unique art project that utilizes invisible paint to campus for the centennial celebration. 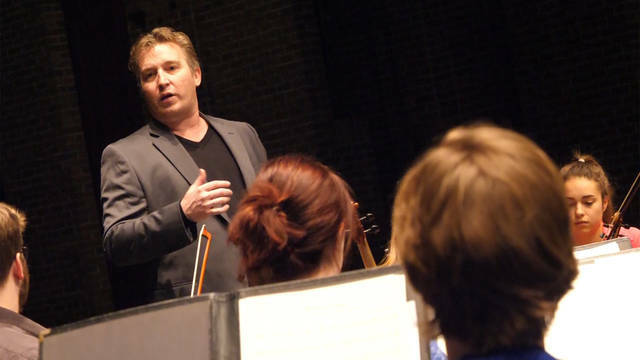 Kyle Newmaster '99 is a Los Angeles-based composer who was commissioned to write a new finale piece for the annual Holiday Concert. His inspiration comes from the people and places unique to Eau Claire and is set to poetry by Max Garland.